From living with convicted felons in prison to rubbing elbows with multi-millionaire entrepreneurs, my name is Zachary Babcock and I’m a student of psychology, business, and marketing with a broad perspective from both extremes of life. I share everything I learn about getting and keeping attention, productivity, and mindset so you can defy the odds and level up. This show is for underdog entrepreneurs who have a grandiose vision, all the odds stacked against them, and everyone counting counting them out, regardless of their current resources, so that they can get to the next level in their business and life, prove the doubters wrong, and get the respect that they deserve. I share all of my biggest “a-ha moments” in my personal journey of building a passive income business, tough lessons learned, and beating the odds while interviewing some of the most successful visionaries and thought leaders who practice entrepreneurship. 3260 Autumn View Pointe Dr.
From living with convicted felons in prison for over 5 years to rubbing elbows with multi-millionaires every day, Zachary Babcock is the host of Underdog Empowerment, a top 200 rated podcast on iTunes where he Interviews celebrities, professional athletes, and industry leaders. He runs a podcast production media company and helps entrepreneurs launch top shelf podcast. 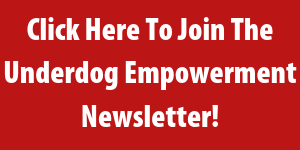 Join the FREE Underdog Empowerment Newsletter! Get all the latest and greatest strategies to level up as a underdog entrepreneur!